Could a British academic's new map of the Paris Metro, dubbed the Metro map for dummies, be adopted by Paris transport chiefs? Many complain the existing one is too complicated. First it was the Metro map that showed the walking times between each station that caused a buzz. Now a new map has been created by Max Roberts, a psychology lecturer from the University of Essex that is grabbing the attention of Parisians. The Paris Metro map has long been considered one of the draw backs of taking the network (along with the lack of seats, smell, rude commuters etc) due to the fact it was too hard to read and by the time we have read it, we've missed the train. But Roberts, who specialises in simplifying transport maps appears to have come up with a far more user-friendly version. His map is organised in circles and centred around a focal point, a blown up version of which can be seen here. As a result, planning journey’s becomes far easier, apparently. 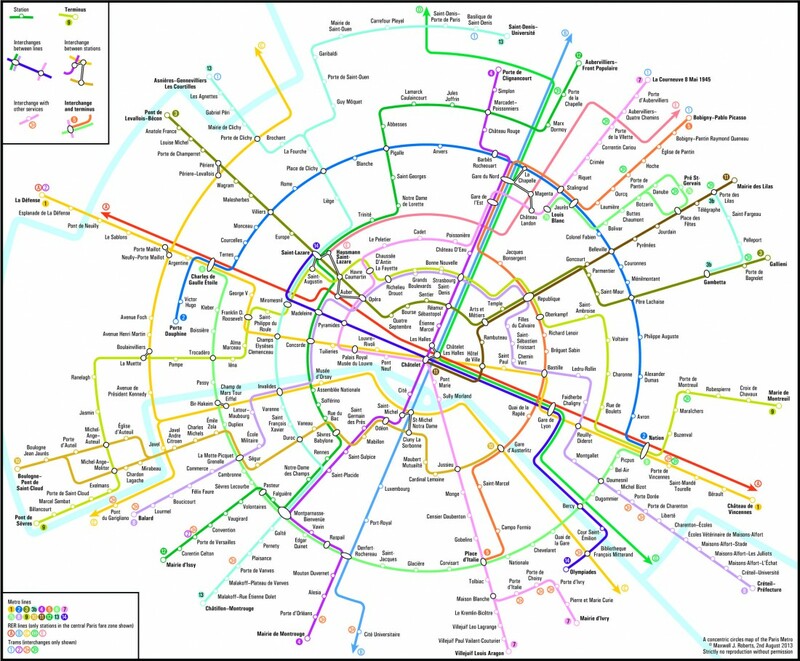 “I hate the official RATP map, I think it is an incredibly poor piece of design, and in my own University research work, it is easy to show that it is difficult to use compared with alternatives,” Roberts tells The Local. “The underlying reasoning is that by making every segment to make it's mind up, orbit or spoke, you force the city into an unprecedented level of organisation, so that the underlying structure of the elements of the network and how they relate to each other is revealed. But Roberts says he might return to the drawing board. “I am not totally happy with the circles map,” he said. Let's hope RATP are reading. You can see more of Max Roberts' Metro maps on his website Tube Map Central.